Educational Qualifications: M. Sc. Nursing / B. Sc. Nursing with one year experience as Tutors. 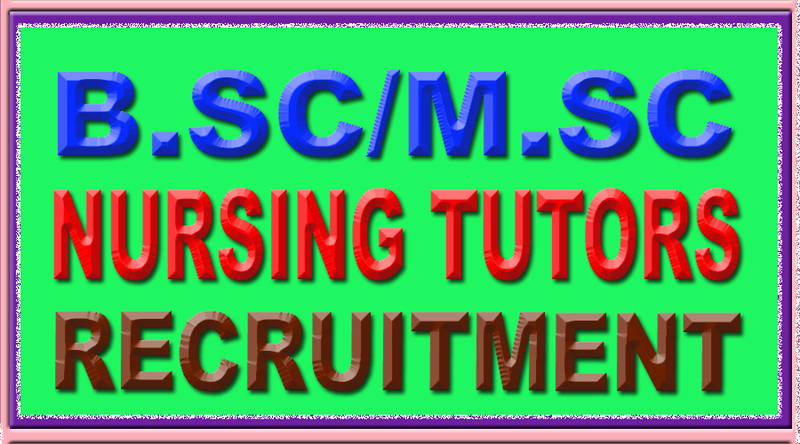 Preference will be given to the candidates possessing M.Sc in Medical Surgical Nursing, Pediatric Nursing, OBG Nursing, Mental Health Nursing. Date and Time of Registration : 16-03-2017 from 09.00 AM to 11.00 AM. Date and Time of Interview : 16-03-2017 from 10.30 AM onwards. Venue: 6th Floor, Dean’s Office, ESIC-MC & PGIMSR and Model Hospital, Rajajinagar, Bangalore – 10.